Amelia Weiler was born on 24 March 1885 in Buffalo, Erie County, New York. Gottlieb Weiler appeared in the New York state census of 16 February 1892 in Buffalo, New York. Other members of the household included Amelia Weiler, Wilhelmina Louisa Weiler, Charles Henry Weiler, Anna Weiler, Clara E. Weiler and Frederick Weiler. Gottlieb Weiler and Kate Robinson appeared in the US federal census of 1 June 1900 in Buffalo, Erie County, New York, at 389 Walnut Street. Other members of the household included Amelia Weiler, Frederick Weiler and Violet Amy Harlow. Violet was Kate's daughter by her earlier marriage. Amelia Weiler appeared in the US federal census of 15 April 1910 in Buffalo, Erie County, New York, at 106 Carolina Street boarding with four other hospital nurses. She was a hospital nurse, according to the 1910 census. The following appeared on 25 March 1912 in the Niagara Falls Gazette: Miss Amelia Weiler, who is training at the Columbia Hospital, Buffalo, spent the week end with her grandmother, Mrs. Margaret Weiler in Ontario avenue. The following appeared on 13 June 1912 in The Buffalo Courier: Four young women constituted the graduating class at the commencement exercises, which were held at the Women's Union last evening. These graduates had completed their course in the Training School for Nurses in connection with Buffalo Columbus hospital. The exercises marked the fourth anniversary of the inauguration of the hospital, and attracted to the place where they were held a large number of the friends of the graduates and others interested in the welfare of the hospital. The graduates were Amelia Weiler, Buffalo; Laura M. Igla, Buffalo; Mae A. Riley, Silver Springs; and Josephine A. Kimball, Muskegon, Mich. . . .
She married Robert Samuel Heiler, son of Samuel I. Heiler and Barbara A. Fattey?, on 24 May 1919 in Olean, Cattaraugus County, New York. The following appeared on 27 May 1919 in the Buffalo Evening News: (Olean, May 26) The most largely attended wedding that ever took place in Olean was Saturday night. The ceremony which united Amelia Weiler of 422 North Fourth street and Samuel Huyler of Springville was performed on an elevated platform in front of the city hall and it marked the closing hours of the campaign which put Olean over the top in the Salvation army campaign. On their way to obtain their marriage license Saturday afternoon Miss Weiler and Mr. Huyler stopped at the Salvation army campaign headquarters, a large tent at the side of the city hall, where they asked for the city clerk's office. "Let's invite the city to the celebration," suggested Captain William Salisbury, who readily guessed their object. And the captain explained his plan to put more life into his campaign. "Band and everything?" asked the bridegroom-to-be. "'N everythin'" promised the captain, "and I will pay for the marriage license." Holding off for a time they finally were willing to help in the big drive. Deputy City Clerk Albert E. Turner issued the license and the captain chalked up one dollar to expenses. The coming event was widely advertised and Olean young women rolled up their sleeves and made doughnuts and coffee so that there would be plenty to serve the wedding guests. In view of thousands of Oleanders Miss Weiler and Mr. Huyler were married in the tune of band music, frying doughnuts and sizzling coffee. On the marriage license the bride gave her birthplace as Buffalo. Robert Samuel Heiler and Amelia Weiler appeared in the US federal census of 1 January 1920 in East Aurora, Erie County, New York, at 17 Temple Place. Other members of the household included Harvey Samuel Heiler. Amelia Weiler became a widow at the between 1920 and 1928 death of her husband Robert Samuel Heiler. Amelia Weiler appeared in the 1928 Buffalo, New York, City Directory at 149 Longnecker listed as widow of Robert.. The following appeared on 30 May 1929 in The Castilian: (Sanitarium) Miss Mamie Lind, Dr. Findlay, Dr. Brown, Dr. Greene and Mrs. Amelia Heiler, who was a nurse four years during the late World War, attended the mass meeting in Perry in the interest of securing the sight about Silver Lake for the Veterans Federal Hospital to be located in Wastern New York. . . . Mrs. Amelia Heiler enjoyed the folowing callers on Sunday: Mr. and Mrs. Lewis Clark and Mr. Michael Mullen, all of Buffalo. The following appeared on 12 September 1929 in The Castilian: (Sanitarium) Mrs. Amelia Heiler and Miss Fannie Crosby spent Monday in Buffalo. . . . Mrs. Amelia Heiler and Dr. Greene were in Rochester one day this week. The following appeared on 2 January 1930 in The Castilian: (Sanitarium) On Sunday afternoon we welcomed the return of our guests, Mrs. Warren Babcock and Mrs. Amelia Heiler, both of Buffalo, war time nurses who have been absent during the holidays. Mr. and Mrs. Babcock spent Christmas time at a near-by farm where their three little children are being well cared for. . . . Mrs. Amelia Heiler also tells of a very pleasant holiday-time spent in Syracuse, with relatives and her fourteen-year-old son, Harvey. Amelia Weiler appeared in the US federal census of 1 April 1930 in Castile, Wyoming County, New York, at Mary T. Green Sanitarium, Main Street where she was a patient. The following appeared on 5 June 1930 in The Castilian: (Sanitarium) Mrs. Ann Babcock, Dr. Findlay and Miss Lucy Hand drove over to Warsaw with Mr. Babcock, Monday evening to call on Mrs. Amelia Heiler at the Community Hospital where she is taking treatments for an injury to her arm. Amelia Weiler appeared in the 1933 Buffalo, New York, City Directory at 239 Lafayette Avenue listed as widow of Robert..
Amelia Weiler appeared in the 1937 Buffalo, New York, City Directory at 133 Arkansas listed as a nurse, widow of Robert S..
Anna Weiler and Amelia Weiler appeared in the 1941 Buffalo, New York, City Directory at 483 Breckenridge Anna is listed as widow of Clifford, and Amelia widow of Robert. The following appeared on 28 July 1951 in the Buffalo Courier-Express: [Died] Minnie Oelheim, July 26, 1951, of 101 Orange St., wife of the late Herman; mother of Ruth Oelheim; sister of Mrs. Clifford Obermeyer and Mrs. Robert Heiler. Funeral from the Darwin Myers Funeral Home, 2450 Main St. at Jewett Pkwy., Saturday at 3 p. m. Friends invited to attend. Amelia Weiler died on 4 January 1953 at age 67 in Buffalo, Erie County, New York, at Veterans' Hospital. The following appeared on 6 January 1953 in the Buffalo Courier-Express: Mrs. Amelia Weiler Heiler, 66, of 298 Hudson St., a retired Army nurse, died Sunday at Veterans Hospital. She had been ill four days. Born in Buffalo, Mrs. Heiler attended School 6 and Masten Park High School. 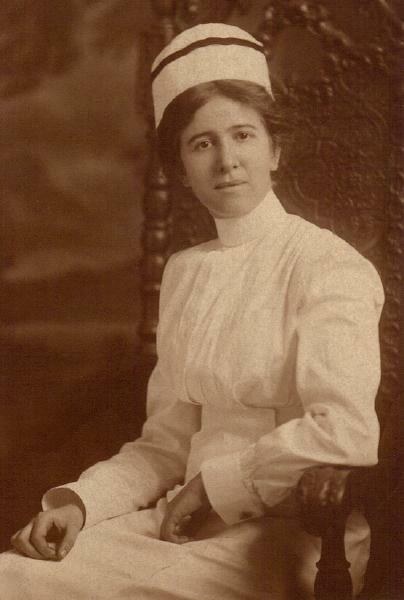 She was graduated from the Columbus Hospital School of Nursing in 1917. Mrs. Heiler was a member of Jane A. Delano Post, American Legion. Her husband, Robert Heiler, died 20 years ago. Surviving are a sister, Mrs. Anna Obermeyer and a foster son, Harvey Heiler. Funeral services will take place at 2 p. m. Wednesday at the Darwin Myers Funeral Home, 2450 Main St. Burial will be in the Soldiers' Plot in Forest Lawn Cemetery.